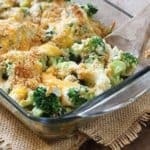 If there’s anyone that doesn’t care for brussels sprouts… these Baked Cheesy Brussels Sprouts just may change your mind! Hey hey! Just 7 days until the Thanksgiving feast! 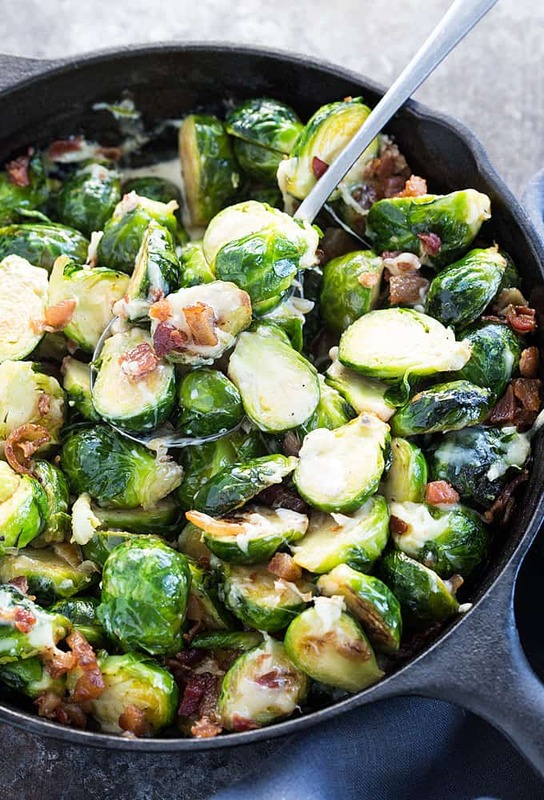 Are you a lover of brussels sprouts? 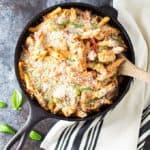 If so, you’re going to totally fall in looooooove with this recipe. Not only is it topped with that glorious cheese, there’s BACON involved. Heck yes. 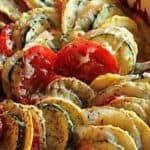 If you’re wanting to keep this recipe vegetarian, simply omit the bacon. 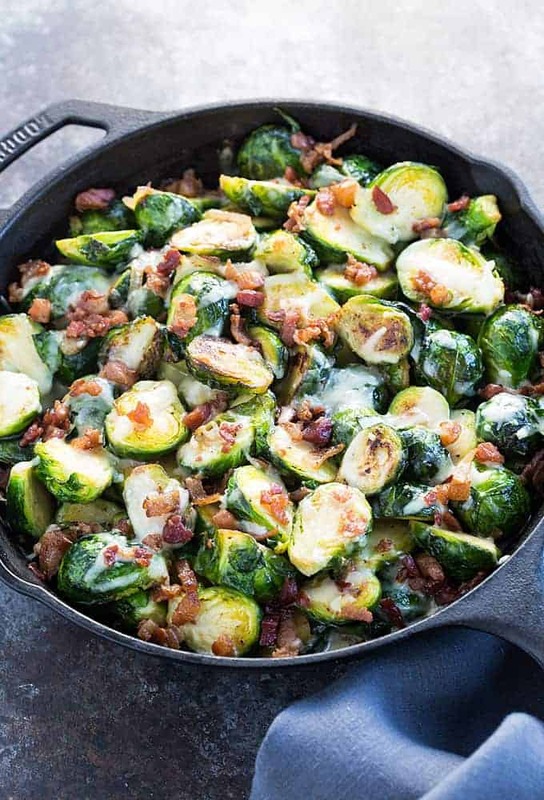 We love Brussels but I’ve never tried baking them with cheese. They look SO good! 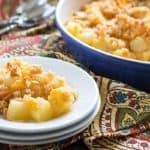 Can this be prepared ahead of time and baked right before serving? 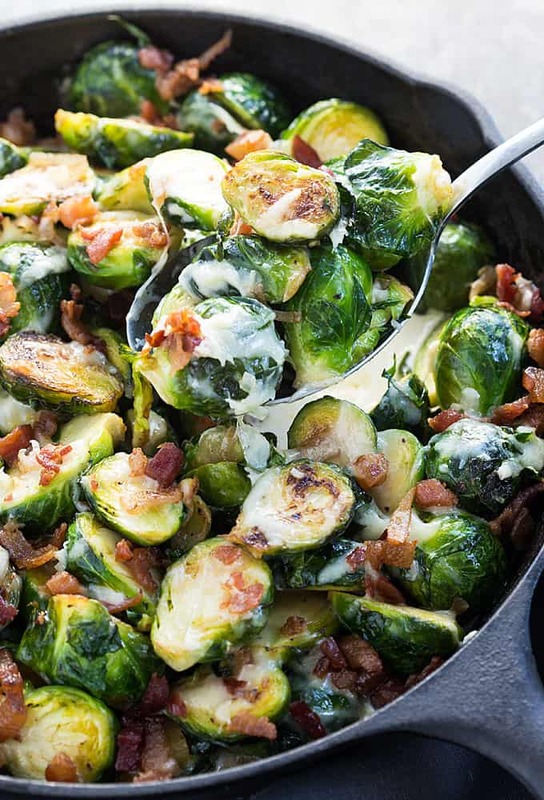 Love brussel sprouts and love the addition of cheese and bacon! 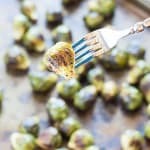 Should you cook the brussel sprouts prior? 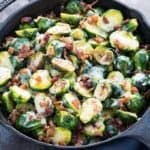 Or this recipe calls for raw brussel sprouts? 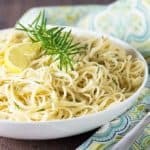 Hi Jacey, I used raw brussels sprouts in this recipe.